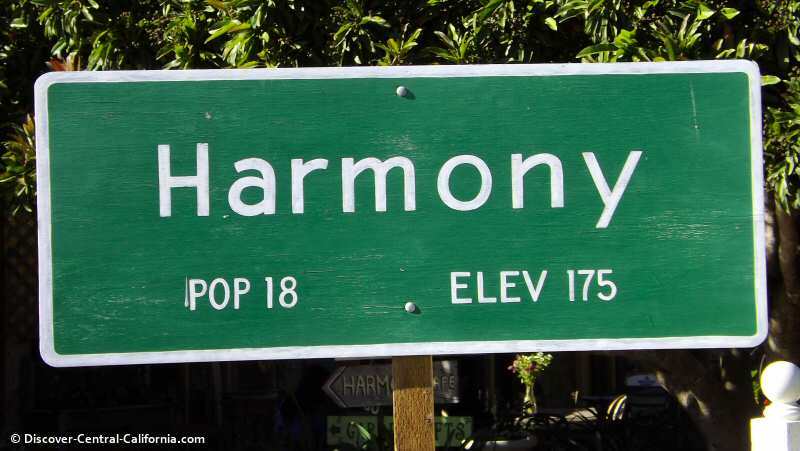 Harmony California - an interesting name for a town - it calls back to its history. 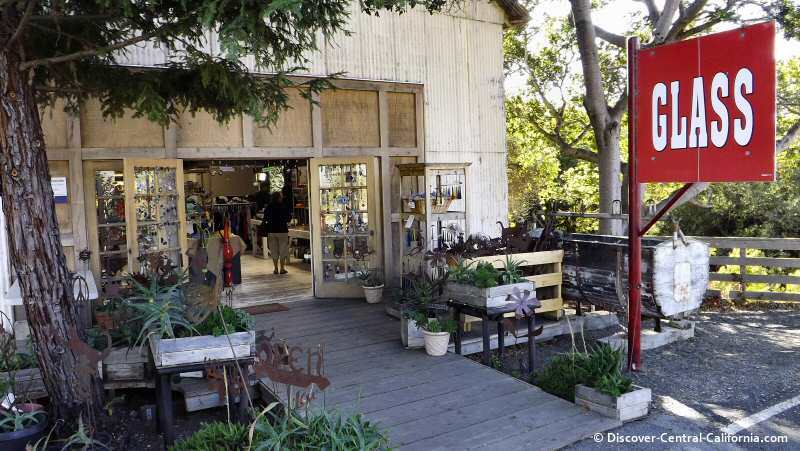 Today it is somewhat off the beaten track, but not too far making for an easy visit on your way to or from Hearst Castle or Big Sur. 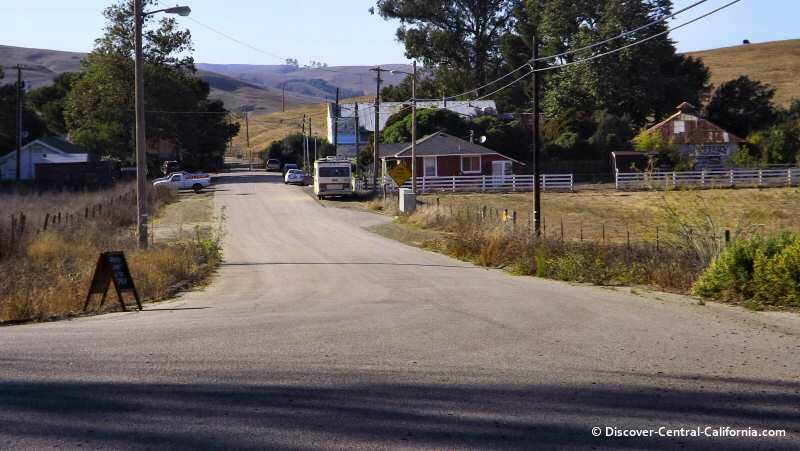 Think "Radiator Springs" from the movie "Cars" and you begin to have an idea about this place. 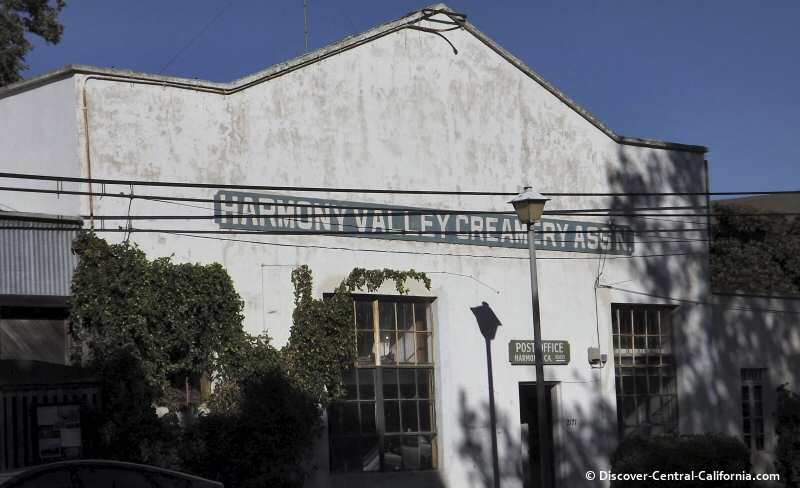 What began as a dairy town, way back in 1869, is now a haven of the arts and wine. 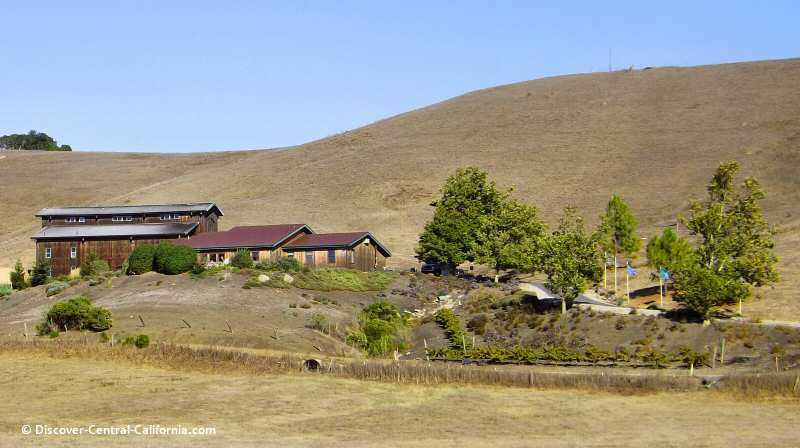 Once situated right on the highway, Harmony is now just a little jog off Highway 1, "easy off, easy on". 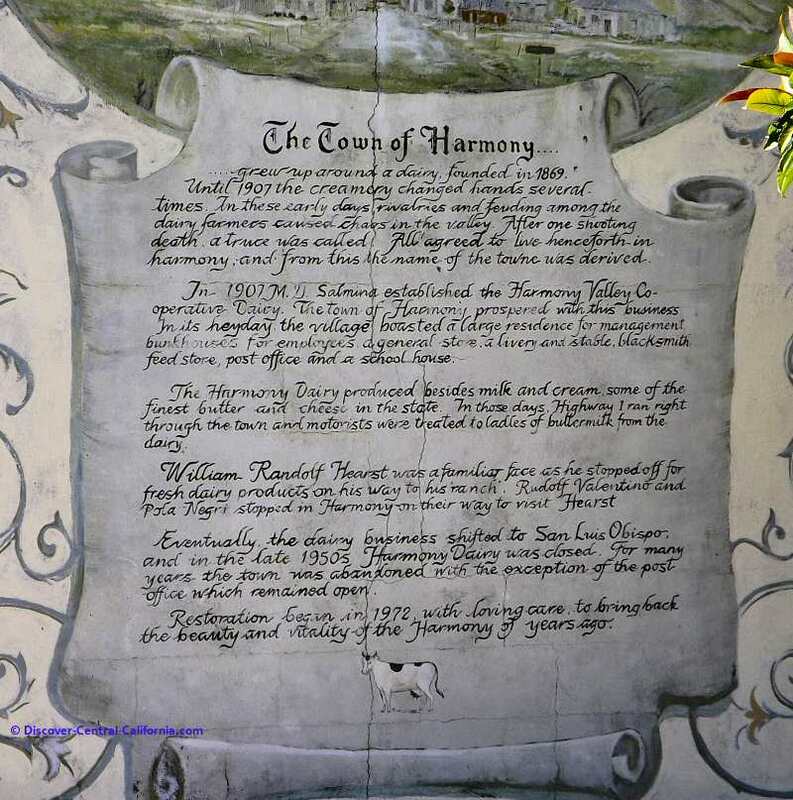 You can read its history in one of the photos below, how a dairy dispute led to the naming of the town. 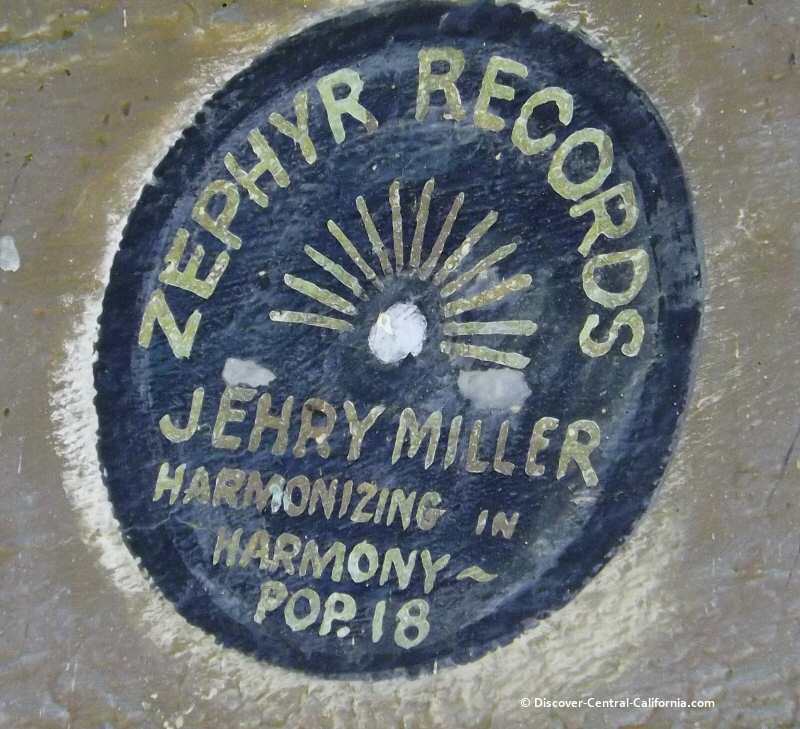 I've not ever read anywhere what its name was previously, or if it even had a name before Harmony. But like many towns throughout the country, the main highway, or the times or just plain economics passed it by. 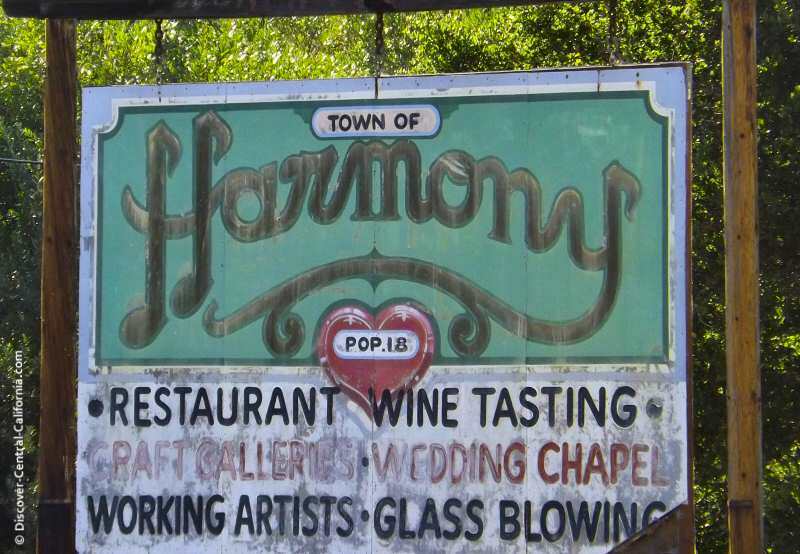 But Harmony seems to have found its present-day niche in the arts of glass-blowing, pottery, theme weddings and now wine. Looking north at the entire town of Harmony except for the winery, which is off a bit to the right out of the frame. 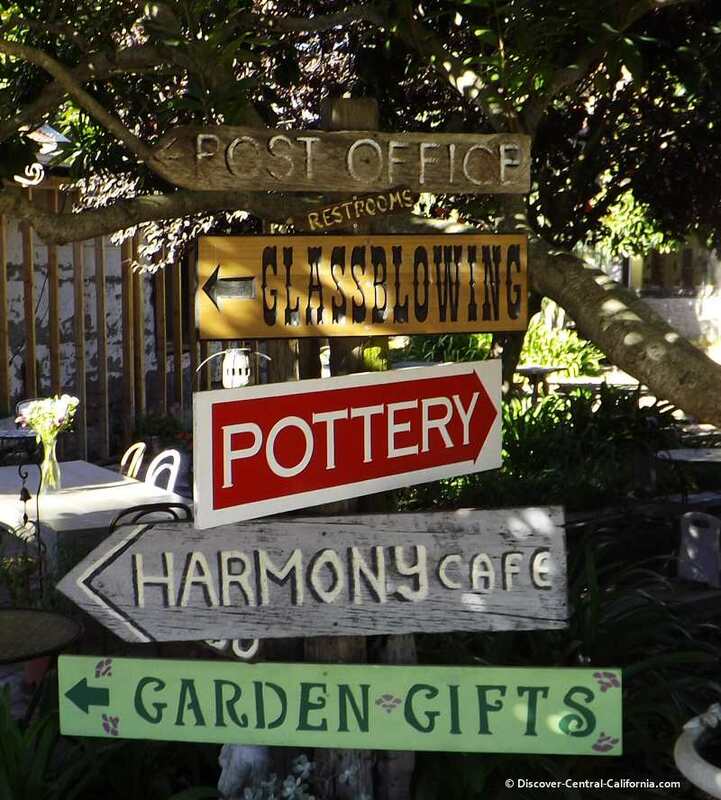 The only thing this collection of signs misses is the wedding chapel. 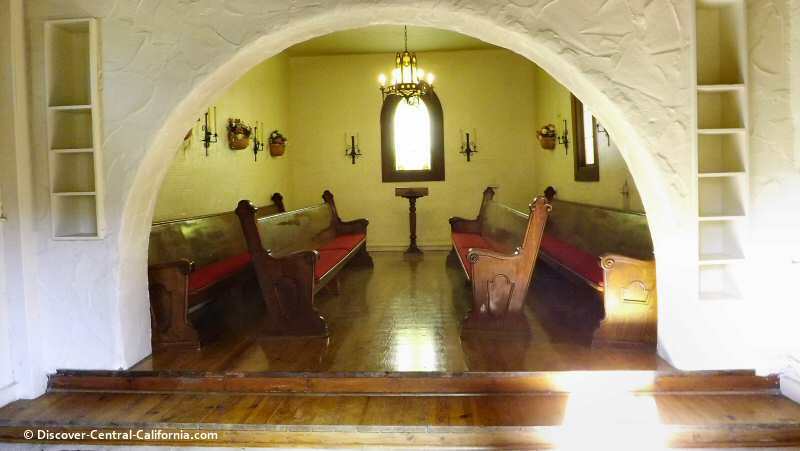 Interior view of the Harmony California chapel. Perfect for intimate functions. Glassblowing is one of those artistic crafts that never fails to fascinate when watching a master. 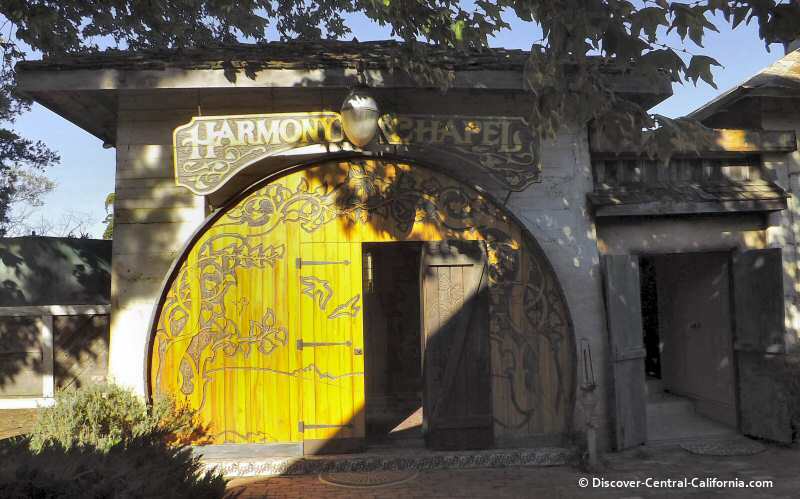 Be sure to stop in here while in Harmony. If you're really brave you can google this tune. But how many towns of this size have a song about them? Looking back into the town of Harmony from the end of Old Creamery Road. 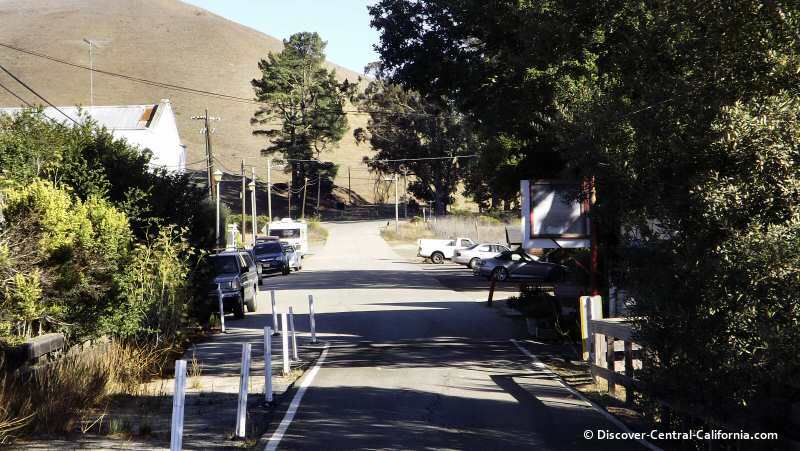 This was once Highway 1.